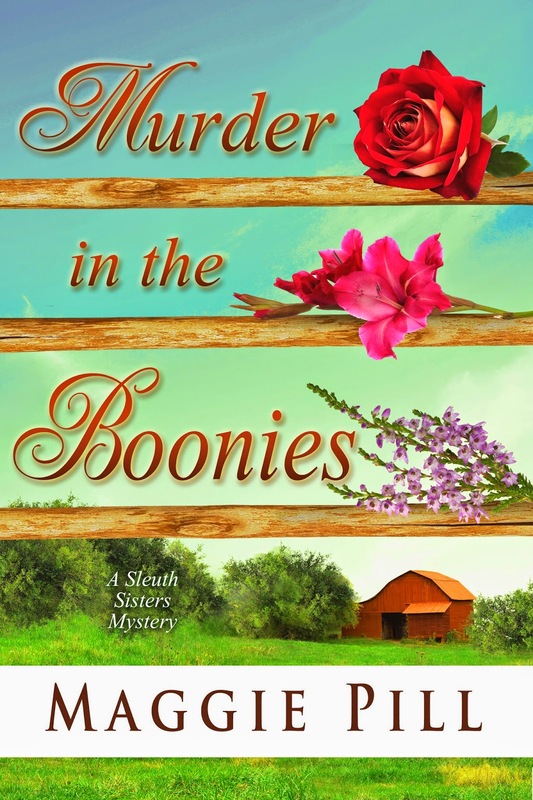 I'm working through the final edits of Sleuth Sisters Mystery #3 (MURDER IN THE BOONIES). I enjoy writing the series, and people have been really nice about letting me know they're waiting for the next one. Writing a popular series means I have characters I already know (which makes them a little easier to write), a guaranteed audience (which translates to income, so I'm not writing solely for my own enjoyment), and a following that spreads the word about the books much farther than I could do on my own. The down side comes with promotion, and while it isn't a big deal, it's interesting. Selling a series means you start with Book #1. Very few people want to start reading a series in the middle. While it's possible to jump in midstream at times, it's usually best to get to know the characters from the first. So when I go to events like author fairs and book signings, I sell a ton of THE SLEUTH SISTERS (and usually run out) but fewer of 3 SLEUTHS, 2 DOGS, 1 MURDER. People want to read the first book before they go on to the others. Now I did have a woman at Saturday's event who bought Book #1, went away and read a few pages, and came back to get Book #2, but that isn't going to happen all the time. Those who buy the first book can buy the second anywhere they want to, but they'll seldom see me again. The result is that I haul Book #2 around but sell mostly Book #1. Now that it's time for Book #3, I see the same thing happening. Being an orderly sort, my tendency has been to get equal numbers of books to take to events, but I'm thinking I need to adjust. Lots of Book #1. Once they enjoy that one, readers will find the succeeding installments on their own. I hadn't thought of that, but I guess it makes sense. Put your plan in action, we hope it evens out for you - who knows, just seeing that you're continuing the story may make people buy more of the first hoping it's good enough that they'll want to get the others. We certainly liked the first one and will head for the next two. Thanks, Noe! That's my hope, and so far it's working out well. Thanks for the info, and I'm glad you enjoyed the book!